Louisburg, N.C. – There is a new frontier in agriculture, a plant whose cultivation has been limited for generations. That plant is Hemp, its scientific name is Cannabis sativa. Some states have taken the big step to legalize it, most notably California, on January 1, 2018. Naturally, we as North Carolinians wonder where our state stands. 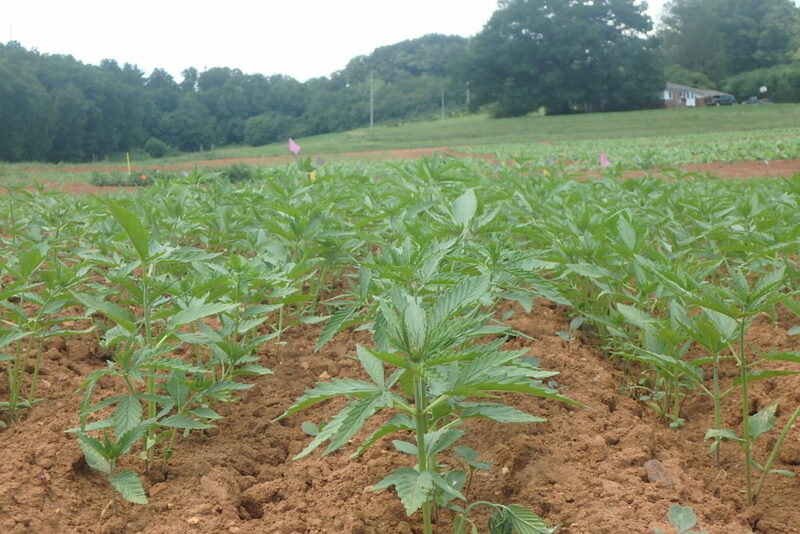 Recently there have been steps taken to legalize Industrial Hemp production in North Carolina. Currently state and federal laws dictate that all acreage must be for research purposes. All who wish to grow Industrial Hemp for the Industrial Hemp Pilot Program must apply for a license. While it is free to apply, if you are approved for the license, you must pay an annual fee for all license holders of $250. The annual fees are $250 for 49 acres or less, and $500 for 50 acres or more. All licenses holders are required to pay an additional fee of two dollars per acre or two dollars per square foot of greenhouse, whichever is applicable. While Industrial Hemp, and Marijuana are the same plant (both varieties of Cannabis sativa), the legality is based on the amount of Tetrahydrocannabinol, or THC the plant produces. THC causes a psychoactive effect when ingested by humans. Since Marijuana is produced for its high THC content, it is illegal. Industrial Hemp while it is legalized, you must be licensed to grow it, and use certified seed. It can currently only be grown for research purposes. For more information on Industrial hemp laws, a list of licensed processors, and an application to grow it visit: http://www.ncagr.gov/hemp/. Industrial Hemp informational meeting will take place on Monday, March 5, at 2:00 p.m., at the Granville Expo Center. Get the latest information on Hemp production from Extension Specialists, Extension Agents, growers and industry. Topics we will touch on include production, marketing, permitting. Registration is required, please call your respective county office of NC Cooperative Extension. Vance (252)438-8188, Warren (252)257-3640, Person (336)599-1195, Granville (919)603-1350, Franklin (919)496-3344.